It's time I said goodbye to my beloved Slow Readers Book Club. My plate is full with my blog, Gadchick, and I'm still giving myself personal room to grieve with recent tragic events. I’m going to be working on a new project with Beca recommending books. I don’t have the energy to look after a group of people and run various social media accounts besides my personal ones, it’ll be great to just recommend a book with no pressure! I love keeping busy but I also know distractions will set me back and I want to move forward. It was hard letting it go. It introduced me to new books, I had the opportunity to interview authors, and I met fellow bookworms. These are the books we've read. 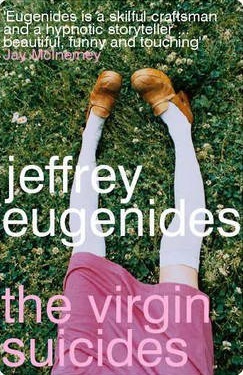 My favorite book from the book club was The Virgin Suicides (read my review here) I loved it so much, my husband surprised me with one of the best presents ever. I'll be on goodreads, if you'd like to join my personal library. There is also the hashtag #slowreadersbookclub on Instagram, I’ll be updating there to share what I’m reading and I'd love to know what everyone else is reading. Maybe one day I'll have make time to come back to it, but right now it feels good to let it go. Elsie just started a book club, Danielle and Bobbi have great taste in literature, and Lauren, my favorite anti-blogger blogger, shares on Instagram. Thank you for supporting my little project, and a bigger thank you to Carly and all the women who helped me.